Advice for coffee lovers who start the day with drinking coffee. Take your time – it’s best to reach for coffee between 9.30 and 11.30. The optimal time is 10.30. The optimal time to drink the morning coffee is 10.30. At this time, the level of cortisol – a stress hormone with a circadian rhythm of action – begins to decline. 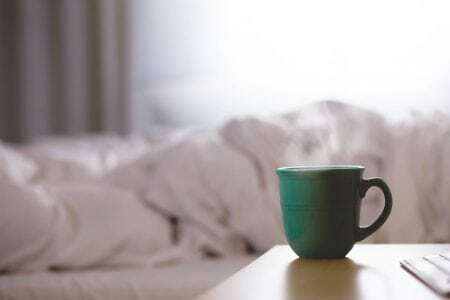 Do you drink coffee right after getting up? Unnecessarily, because the body does not need to stimulate caffeine, as the concentration of cortisol immediately after waking up is high, and the peak reaches between 8 and 9. The effect of none, and easy to immunize to the effects of caffeine – you will drink more and stronger coffee. It should also be remembered that coffee has a diuretic effect, so drinking strong coffee and not adding it to other liquids, we expose the body to dehydration. Another reason why it’s better to wait with the first coffee is … breath. The morning smell from the mouth, to say the least, is not the most pleasant and this is a normal symptom caused by the presence of digestive juices in an empty stomach. The pictures of couples kissing just after waking up and enjoying delicious coffee in bed can be put in between fairy tales. Coffee certainly does not help to refresh your breath. You’d better eat a decent breakfast, brush your teeth and then greet you with a kiss with your beloved / sweetheart!